When was the last time you heard the TOTAL gospel message of salvation? I was “surfing” the radio today while commuting. One radio preacher was talking about having faith that God will answer your prayers. Another preacher was talking about praying for healing of loved ones. A radio talk show host was talking about how Jesus’ touch can break our addictions. And so on… ad nauseum. I first noticed this “missing message” in the later years of the Billy Graham crusades. George Beverly Shea and others would sing songs like “His Eye is on the Sparrow”. A nice song of comfort – but where was the convicting message of sin, God’s judgment, eternal torment, and the need to accept Christ as Saviour, the only One who can save us from eternal torment/eternal punishment? As I’ve tried to stress in other blogs, it is critical to emphasize the “bloody” message of our Saviour on Calvary, the message of “the Blood and the Cross”, in every service. This is the core of the gospel – to ignore or downplay the doctrine of the Atonement is an abomination. “22) Jews demand signs and Greeks look for wisdom, 23) but we preach Christ crucified… (I Cor. 1:22-23a). I came across an excellent blog from Stand Up for the Truth!, which emphasizes this same theme. Click here for the original site of this blog. I’ve emphasized certain points by bolding, and inserted comments in [brackets]. How important is it to hear the Gospel of Jesus Christ preached each and every Sunday? That we would even need to ask this question nearly 2,000 years after the Church was first established is heartbreaking to me. Really? Am I that demanding that I’ve placed an unfair, unrealistic expectation on our poor pastors who are just trying to reach the lost? Imagine Paul, or Peter, or John, or even Jesus Himself sitting in a typical seeker-driven service on any given Sunday morning and not hearing the message that martyrs still die for: That we are born sinners into sin-filled world at odds with God and that while we still hated Him, He came to earth as a sinless sacrifice, whose blood on the cross atoned for our sins and the punishment we deserve. He rose from the grave and appeared to hundreds of witnesses, who saw Him ascend to heaven, and those witnesses have been sharing that Good News ever since, that those who believe in Him can repent of their sins and be reconciled to God forever. It is through Christ alone that we are offered Mercy and Grace. Only In His perfect sacrifice, He exchanges His righteousness for our Sin. In the time I took to read that, 30 seconds have passed. Surely 30 seconds of these life-giving words of the Gospel is the message that we all must hear over and over again. Not just so that we can be saved, but so that we can have real life to the full. A Sunday service without the Gospel regenerates no one. It is good to talk about making good choices, or treating each other in love. It’s good to sing worship songs and teach about putting God and money in proper perspective. But not at the expense of The Gospel. Because if I am still steeped in my sins, unrepentant without knowing who Jesus is, and I’ve just sat through your sermon series on how to have a good marriage or how to feed the hungry, I am still going to Hell when I die. Unfortunately, many Christians today don’t know what the Gospel is. If you were to ask, they might say that the Gospel is about loving our neighbor, or loving God with all of our heart, soul, mind and strength. And while important, these are not the Gospel, but are the essence of the Law. And yes, we need to walk the narrow path and live out what God commands. But His truth also tells us that as hard as we strive, we can’t love God as perfectly as He commands. And by the way, how did you do at loving your neighbor last week? I fell extremely short. That’s why we need the Gospel, even as we grow into mature Christians. We hear the Gospel so that we can be reminded of how good He is, and how wretched we are apart from Him. And when we do break the Law – any of them –we can repent of our sins and be forgiven. Paul, speaking to Christians, told them and us that they were once just the rest of the world, which was dead in their own trespasses and sin in which they once walked according to the world system. There are no exceptions t this. A “Gospel message” or “theology” that does not address this is not biblical. In fact, it is false teaching. Those who teach these false teachings are teaching a different Gospel, and God will judge them for it. In those last four seconds is packed an eternity of truth. No, I don’t think I’m being demanding by asking to hear the Gospel each and every time. How can we expect anything less for our families, our friends and for a world that does not know Him? Churches, pastors, Christians: It’s time to step up. Let’s not just squeeze these in around our three main principles or five action points. No, let’s make the Gospel the center of every message, and the rest can flow from Christ’s amazing, perfect love. I am reposting the article here – not to start an argument with hyper-Calvinists (i.e. five point Calvinists, followers of “TULIP”) – but merely to provide leads to authors for Christians favoring unlimited atonement. Note – I do not believe that because Christ died for all mankind, every person will go to Heaven. This would be Christian universalism. I do believe that salvation is made available to every person, so that whosoever believes on Him will receive eternal life (John 3:16). Click here for the original source of the article. I have emphasized certain points by bolding, and inserted comments in [brackets]. In establishing any doctrine, it is what God says that counts. “Let God be true, but every man a liar” (Rom. 3:4). Having already established from the Scriptures that upon Christ were laid the iniquities of all of us, it is of interest to consider what great and godly men of the past have said about this issue of the universal extent of the atonement. Norman F. Douty, in his excellent book The Death of Christ, lists over 70 of the Church’s leading teachers, from the early centuries to the modern era, who stood firmly for the doctrine that Christ died on behalf of all men, not the elect only (pages 136-163). Here are some of the names on the list: Clement of Alexandria, Eusebius, Athanasius, Chrysostom, Augustine, Martin Luther, Hugh Latimer, Myles Coverdale, Thomas Cranmer, Philip Melanchton, Archbishop Ussher, Richard Baxter, John Newton, John Bunyan, Thomas Scott, Henry Alford, Philip Schaff, Alfred Edersheim, H.C.G. Moule, W.H. Griffith Thomas, and A.T. Robertson. “Although the blood of Christ be the ransom of the whole world, yet they are excluded from its benefit, who, being delighted with their captivity, are unwilling to be redeemed by it” (Prosper, who died 463 AD). “Christ died for all, yet, notwithstanding, all do not embrace the benefit of His death…they despise the offered grace” (Benedict Aretius, 1505-1575). The doctrine of a propitiation for the elect alone is not yet above fourteen hundred years old. Such a doctrine was unheard of during the glorious first three centuries of the Christian era. Nay, it was not known for about two hundred years after that. This surely is a striking fact, and should make some men pause and ponder before they condemn. “I think,” says the illustrious Bishop Davenant, a divine most intimately versed in ecclesiastical history and the writings of the Fathers, “that it may be truly affirmed, that before the dispute between Augustine and Pelagius, there was no question concerning the death of Christ, whether it was to be extended to all mankind, or to be confined only to the elect. For the Fathers, when speaking of the death of Christ, describe it to us as undertaken and endured for the redemption of the human race; and not a word (that I know of) occurs among them of the exclusion of any person by the decree of God. They agree that it is actually beneficial to those only who believe, yet they everywhere confess that Christ died in behalf of all mankind. [He then quotes from Clemens Alexandrinus, Origen, Primasius, Athanasius and Prosper]. More recent advocates of unlimited atonement are as follows: D.L.Moody, Albert Barnes, L.S.Chafer, John Walvoord, Robert Lightner, William Newell, R.C.H. Lenski, D.Edmond Hiebert, Robert Gromacki, E.Schuyler English, R.A. Torrey, Charles Ryrie and all the members of the Independent Fundamental Churches of America who have made unlimited atonement part and parcel of their doctrinal statement. Unlimited atonement seems also to be the position of the GARBC (Regular Baptists) because the Regular Baptist Press published the original edition of Robert Lightner’s book, The Death Christ Died, which presents a strong case for unlimited atonement and also David Nettleton’s book Chosen to Salvation. Nettleton refers to “the erroneous doctrine of limited atonement” and says that “limited atonement is not a necessary corollary of the sovereign election of God” (page 79). Note: One of the men mentioned in the above paragraph was the noted commentator, Albert Barnes (1798-1870), was an American Presbyterian preacher and Bible expositor. In 1835 he was brought to trial by the Second Presbytery of Philadelphia for his belief in unlimited atonement, but was acquitted. The case continued to stir the denomination and was one of the causes of the split in the Presbyterian church in the United States in 1837. See The Wycliffe Biographical Dictionary of the Church, p.29. It’s interesting to read Barnes’ comments under such passages as John 3:16; John 1:29; Heb. 2:9; 1 Tim. 2:4-6; 1 John 2:2. “There may be men with minds so distorted that they can conceive it possible that Christ should die for a man who afterwards is lost: I say, there may be such. I am sorry to say that there are still to be found such persons whose brains have been so addled in their childhood, that they cannot see that what they hold is both preposterous falsehood and a blasphemous libel….I feel quite shocked in only mentioning such an awful error, and were it not so current as it is, I should certainly pass it by with the contempt that it deserves” (cited by Norman Duty, in The Death of Christ, p. 163). 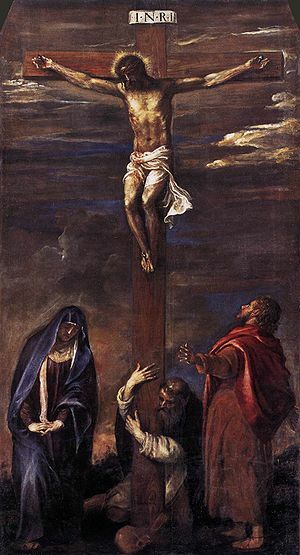 Regarding the loss of emphasis on “the Blood and the Cross” – not just in the EFCI but in many evangelical denominations – I have reposted an excellent sermon on this below. Click here for the original source of the sermon. I have emphasized certain points by bolding, and inserted comments in [brackets]. “And I, brethren, if I yet preach circumcision, why do I yet suffer persecution? then is the offense of the cross ceased” (Galatians 5:11). Paul’s Gospel had teeth. It bit hard into the kingdom of darkness and ripped chunks from it wherever it came. He didn’t make his message smooth and soft in order to suit the fancies of the religious majority. His Gospel was a sharp word that exalted Christ, lifted the cross up high, proclaimed total commitment to Christ the King, and utterly stripped man of all self-reliance, shattering self-righteousness, tearing down false religion, and leaving men stripped bare before God in utter dependence on His free grace alone to save them. And of course, with a Gospel like this, Paul suffered persecution wherever he went. Yet he didn’t dare water-down the potency of the truth of God. He didn’t compromise his message in order to make it more acceptable to the people. He didn’t pervert it to make it look pretty. He proclaimed, “This is the way, the only way! Walk ye in it!” and pronounced a thundering “Anathema!” on anybody that dared to tamper with the message and preach another gospel (Gal. 1:6-9). Yet this is exactly what was happening in the church at Galatia. False teachers had come in and deceived the brethren by perverting the Gospel. They were preaching that in addition to believing in Christ, it’s necessary to be circumcised according to the Law of Moses. They were adding to the Gospel, changing the message to make it more acceptable. Paul said of them: “As many as desire to make a fair show in the flesh, they constrain you to be circumcised; only lest they should suffer persecution for the cross of Christ” (Galatians 6:12). False teachers and false brethren today are rarely found preaching circumcision as necessary for salvation. However, they are still doing the same thing to the Gospel, adding to it and taking away from it in order to make it less offensive and more acceptable to the religious folk who fill the churches, in order that they don’t have to suffer persecution for the sake of the message. They take away the “offense of the cross” and in doing so, take away the heart and substance of the Gospel. Paul’s Gospel exalted the cross of Jesus Christ. Paul preached salvation solely through the finished work of the cross, and preached abroad that those who are to be saved by grace must identify themselves with this bloody cross. He preached that men need to believe in Christ, and that the result of believing is an identification with the cross. 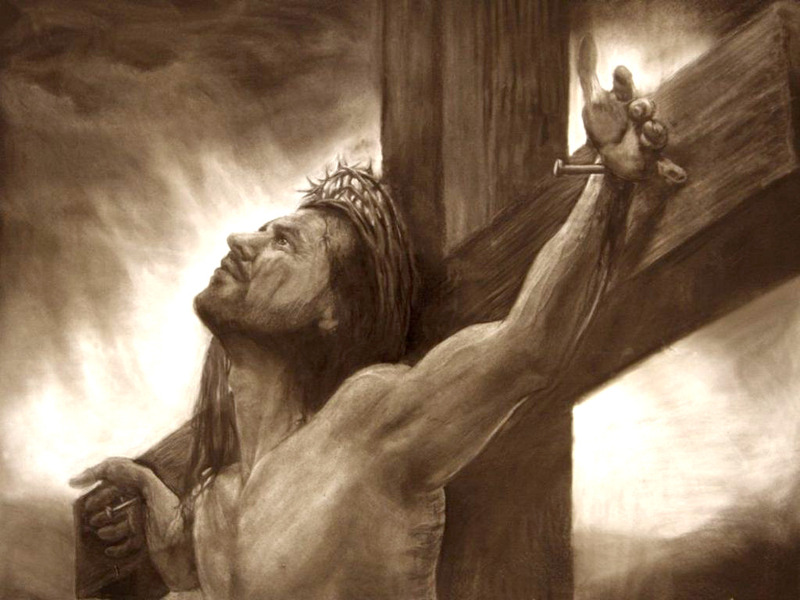 He gloried in the fact that he was “crucified with Christ” (Gal. 2:20). He preached that the sinful flesh needs to be crucified; that the carnal man has to be put to death. Any who refuse to thus nail themselves to the cross are unworthy of the great, glorious Gospel of Christ. Any who water down the Gospel and dilute the message to make it more acceptable to carnal men or to tailor to the religious status quo, refusing to suffer for the sake of the Gospel are enemies of the cross, serving their own bellies, minding earthly things, and will face destruction (Phi. 3:18-19). There is no compromise here. Those that don’t like the message are the enemies of the cross. Paul’s Gospel was offensive, highly offensive. He boasted that his message contained “the offense of the cross” and would not dare to cause such offense to cease. To him, the fact that there was such an offense was proof that he was preaching the true Gospel. He knew that the true Gospel would stir up devils and provoke the wrath of wicked men, and thus at times cause offense. And he continued to preach this true Gospel to the very end, even though it was “foolishness to those who are perishing”, because he knew that it was the power of God to those who believed and embraced it, resulting in salvation (1 Cor. 1:21). In addition to demolishing Satanic strongholds and turning multitudes from darkness to light, from the power of Satan unto God, the result of preaching this was angry mobs, getting stoned, being whipped and scourged, getting thrown into prison, being hated everywhere he went, and ultimately being beheaded in Rome. Why doesn’t our “gospel” today get us persecuted? Why does it sit so well with the religious masses? Why doesn’t it bite and cut and wound and hack and kill false religiosity? Because it’s not God’s Gospel! It’s not the sharp, two-edged sword that pierces hearts and slashes through false religious ideologies. It doesn’t wound the consciences of hardened sinners and cause them to cry out in godly sorrow, “What must I do to be saved?” It doesn’t tear away the false foundations and strip away their false hopes, and so it leaves us building on a faulty foundation that’s not going to stand when the floods of God’s just judgment come against it. There’s no digging deep in plowing up the hardened ground by preaching the offense of the cross and calling for deep repentance, so there’s not a solid foundation laid that will endure to life everlasting. The result is that multitudes are trusting in a false “gospel” that pampers the flesh and are blindly walking down the wide road that leads to destruction. In taking away the offensiveness of preaching heart-repentance from sin and biblical justification by faith and the necessity of bowing to the Lordship of Christ, and in taking away the offensiveness of the message of the cross, we have destroyed the foundation of the Gospel. We need to get back to the offensive message of self-denial, crucifixion to the world and the flesh, of dying to sin, and of preaching salvation as the sovereign work of God’s free grace, given freely to men on the basis of faith in Christ alone apart from any merit or work of their own. Perhaps when we get back to preaching the unadulterated truth of the real Gospel, men and devils will come against us in opposition too. Perhaps when we get back to preaching the truth, we will find that there’s nothing new under the sun, and that the same Gospel has always had the same results, in the 1st century and in the 21st century. The problem today is that the modern church has a severe lack of holy troublemakers. What I mean is that the great Spirit that brought about reformations in church history is largely void in today’s church, though it is sorely needed. The Spirit of Elijah is gone from our midst. Elijah was a holy man of God. He preached an offensive message, a message of repentance and God’s judgment against sin. He had power with God, and as the judgment of God against the sin of Israel, there was no rain at Elijah’s word for three and a half years. After that time, Elijah appeared to the wicked king, Ahab, and Ahab shouted out, “Is that you, you troubler of Israel?” (1 Ki. 18:17). Elijah was a holy troublemaker to the sin, false religion and Baal worship of that day. But it wasn’t Elijah that caused the main trouble; it was the sin of Israel. Elijah responded to the wicked king: “I have not troubled Israel; but thou, and thy father’s house, in that ye have forsaken the commandments of the LORD, and thou hast followed Baalim” (1 Ki. 18:18). This often happens today. When a man of God rises up and starts preaching an offensive message of the cross, of dying to self, of God’s judgment against sin, of the true Gospel, he is often accused of being contentious, or factious, or as a troublemaker. Yet it is not the Gospel that is the trouble, even though many times people don’t like it. The real trouble is the sin in the church and false religiosity. The true problem is the worship of the Baal’s, of “another Jesus” that is so often preached today that resembles a nice, soft, fluffy teddy bear that is the sinner’s accessory for life-enhancement more than He resembles the ferocious, triumphant Lion of Judah that demands absolute worship and obedience who demands that all be reconciled to Him or else be ripped to shreds when His wrath is kindled but a little (Psa. 2:12). –Now, the wrath of the Lamb isn’t the only attribute of our blessed Lord, nor should that be all we preach. Jesus is a friend of repentant sinners, and full of mercy and love such as no finite mind can fathom, freely wiping away the sins of the most wretched on earth and bestowing on former rebels of the Kingdom the greatest riches of the Kingdom. However, the truth is that there is a great lack in the majority of the professing church nowadays of preaching the full counsel of God, and reasoning of sin, righteousness, and judgment to come, and thundering forth the terrors of the Living God that shall one day soon fall grievously on the head of the wicked. This is what we need today, when there has been such a soft “gospel” preached for so long, when the multitudes of religious masses fill the churches, comfortable in their sin, living at ease in Zion in lukewarm pleasure-seeking religion, serving a “Jesus” that is not the Jesus of the Bible, but is rather the bi-product of their own worldly culture and carnal thinking. We need zealous men who burn with Holy Ghost fire that have not been tamed-down by the religious status-quo, who will turn over the tables of the money-changers in the house of God, who will by the might of the Spirit smash the idols of materialism and greed, who will tear down the altars of the golden calves they call, “Jehovah”, who will prophesy against the false prophets of “another Jesus” the true word of the Lord. We need those who love Jesus enough to take a stand against the Devil and be persecuted for preaching a sharp, convicting message, that even though it offends, it also gloriously contains real power to deliver from sin and save souls. The Apostle Paul was a holy troublemaker too. When he came to a certain city, the people cried out, “These that have turned the world upside down are come hither also” (Act. 17:6).When he stood on trial before the Governor, he was accused of being one who stirred up trouble everywhere he went. They said of him, “For we have found this man a pestilent fellow, and a mover of sedition among all the Jews throughout the world, and a ringleader of the sect of the Nazarenes” (Act. 24:5). Paul was accused of being a ringleader in a troublemaking sect, because he tore down the religious status quo wherever he went by preaching a pure message of Christ and Him crucified, and utterly despised every false way that seeks to counterfeit or pervert the Gospel of God. The religious masses of his day didn’t like, and the ones of our day don’t like it, either. Yet this is what we need today. We need preachers with a reformation Spirit to demolish the false foundations of Christian thinking we have in our modern day, and to exalt the old fashioned Gospel of the cross. It is only the real Gospel, the one that often offends both men and devils, that is the truth which can save those who believe. Perverting it, diluting it, changing it, and adulterating it will only lead to deception and destruction. We need to see the restoration of the true Gospel in the church, the one that has teeth that bites chunks into the cotton-candy “gospel” of our time, the one that is sharper than any two-edged sword and pierces hearts, the one that is mighty through God to demolish the strongholds of Satan, the one that God uses as the chief instrument to ignite a fire in the hearts of men and to bestow the grace of saving faith in His precious elect. I’m not saying that we should purposely try to be offensive. We should never purposely offend anyone simply for the sake of being offensive or trying to conjure up a rude awakening by the methods of the flesh. We should be filled and dripping with the love of Christ when we share the Gospel, evidencing the blessed fruit of the Spirit, led by the Spirit of Truth and speaking not as mere men, but as the oracles of God. We should actually go out of our way to ensure that the way we act and what we do doesn’t unnecessarily offend anyone so as not to put stumbling blocks in their way from accepting the Gospel. Paul said, “I am made all things to all men, that I might by all means save some” (1 Cor. 9:22). No matter the amount of self-denial involved, Paul would go out of his way to make sure that the way he acted and what he did helped people to understand the Gospel, not push them further away from it. We must give honor to whom honor is due, and respect to all by all means as long as it doesn’t compromise the Gospel in any way. And while all this is certainly true, we have to check ourselves, because if the Gospel that we’re preaching isn’t offending anybody, it’s some heavy evidence that what we’re preaching isn’t the true, biblical Gospel of the cross. We must never, never, water down and adulterate the pure truths of the Word of God in order to make it more acceptable to the unregenerate! Yet, today, there is a huge movement sweeping through the professing church that does this very thing. They take away expounding on the threats of God’s holy Law and warning of the judgment to come. They don’t mention the fury and wrath of God. They don’t preach the Biblical message of God’s holy hatred of sin. They don’t preach the blood of Christ and its utter necessity for making propitiation and appeasing offended Deity. They take away the preaching of repentance. They don’t preach the power of His resurrection and His grace that gives us victory over sin. They don’t expound on the necessity of the New Birth and of a definite conversion experience. Instead, they preach philosophy, psychology, and ear-tickling sermons that make rebels feel really good about themselves in their current state before God. They preach positive self-improvement, self-esteem, and self-help. And the masses just eat it up and want more! Their strategy is to remove the “hard sayings” from the Word of God and to only preach what unregenerate sinners like to hear in order to grow their churches and increase their attendance and membership. They think, “Let’s not preach about the wrath of God against sin because it’ll offend somebody; instead let’s just preach how God loves everybody no matter who they are or how they live”. And by preaching a sugarcoated “gospel” their goal is to grow their meetings –and it works. It’s not a rare thing to find a huge mega church in every city in the US that uses these very methods of ear-tickling half-truth “gospels”. They call it, “seeker-sensitive”. But, as one preacher put it, “There’s only one seeker and that’s God!” There are none that seek after God, apart from a work of grace in their hearts after God has first sought them. We should labor to make our churches God-friendly. And we can only do this when we preach the whole truth! What example did Jesus lay down for us to follow? Did He take out important truths from the Gospel, truths that people didn’t like to hear, in order to please men and make more disciples for Himself? –Certainly not! To the contrary, His preaching cut through all the false pretenses and impure motives of those who seemed to be seeking God, and He would expose the hearts of the people and proclaim the very truths that they didn’t like to hear! In John 6, after multiplying bread and feeding a multitude, a great mass of people followed Him. But their motive wasn’t the love of the truth and the glory of God and to honor Jesus for His mighty miraculous power. Their motive was selfishness, because they were following Him because He fed them with bread. Jesus didn’t mince words –He cut straight through their impure motives and said, “Verily, verily, I say unto you, Ye seek me, not because ye saw the miracles, but because ye did eat of the loaves, and were filled” (Jo. 6:26). Jesus continued to preach and expound on the truth, revealing their false motives and proclaiming that He is the true bread which came down from Heaven. This offended them, and they began to murmer against Him (vv. 41-42). Many were offended at His word. Did He know they would be offended? –Of course! The words He spoke were not even His own, they were the words of the Father Himself, the very words of God. Not one word was spoken outside of the direct order of God. It was God’s plan to preach to these people in such as a way as to turn them back from following Jesus because, again, they motive was not pure and acceptable before God. He would rather have a few wholehearted followers than a multitude of lukewarm self-centered hypocrites who appear to follow Jesus outwardly while inwardly their motive is to gratify their own selfish desires. “Many therefore of his disciples, when they had heard this, said, This is a hard saying; who can hear it? When Jesus knew in himself that his disciples murmured at it, he said unto them, Doth this offend you? What and if ye shall see the Son of man ascend up where he was before? It is the spirit that quickeneth; the flesh profiteth nothing: the words that I speak unto you, they are spirit, and they are life. But there are some of you that believe not. For Jesus knew from the beginning who they were that believed not, and who should betray him. And he said, Therefore said I unto you, that no man can come unto me, except it were given unto him of my Father” (Jo. 6:60-65). And the result of this whole discourse brings us to the only “666” in the Bible outside of Revelation, that is, John 6:66, which says, “From that time many of his disciples went back, and walked no more with him.” That is, many of those who were following Him were offended at His word and left their outward form of following Him. But the truth is that they never were truly following Him with all their hearts. Though they had an outward profession of faith, they didn’t have the inward work of grace to make their profession a spiritual reality in their lives. Jesus spoke the sharp, two-edged cutting word of God that sliced through their false outward profession and cut down the religious pretense, leaving nothing but the motive of the hearts exposed. Though He knew this would cause them to turn away from their outward profession, He knew that it was the best thing to do for the sake of maintaining the purity of the church at that time. Why did He do this? –Because He knew that all those who were given to Him by His Father would come to Him, hear from Him, accept His words, have their spiritual understanding opened, and believe in Him and be saved. Those who were His own precious, elect sheep, having light from above, would understand that He didn’t speak of physically eating His flesh and blood, but of spiritually partaking of the real substance of His Being in the most intimate way –of deriving their very life from His life, and living every day in the reality of His broken body and shed blood for their salvation. So while the hypocrites and false followers are chased away by the preaching of hard truth, the genuine and true followers are edified by it and drawn closer to Him through it. Preaching the offense of the cross, the hard truth of the word of God has a way of leaving the true children of God in awe and edified in the inner man, since most of the “meat” of the Gospel that gives us the most strength is initially hard to digest for the natural man. In light of this, for the sake of the truth of the Gospel, we must never take away any truth from it for the sake of making it acceptable to the carnal masses. If the true Gospel scares people off and offends hypocrites, let them go! It’s better to have God with us through the preaching of the true Gospel and the people against us then it is to have the people for us and God against us! Let’s follow the example of the Lord Jesus who spoke truth without regard to its consequences. Our job is to proclaim the Gospel, and God’s job is to ensure results. We do our part, and then God will do His. But we dare not try to take God’s job by seeking to conjure up results by tampering with the message! What a damnable thing! The cross is a scandal, an offense to the world! Let’s leave it at that! Apparently, the true Gospel that Jesus came to herald was one that was so offensive that He pronounced a special blessing on all those who were able to receive it: “And blessed is he, whosoever shall not be offended in me” (Luke 7:23). It takes a special blessing not to be offended in Christ. This must mean that most people, if they hear and understand the true Gospel, and see and hear the true Jesus, will in some measure be offended or will be unable to believe and be saved. This is quite the contrast to the lukewarm “gospel” we hear so often today, that offends nobody, that is easily embraced by the sinful multitudes who love to hear these humanistic ideas about God preached and are never shaken from their complacency, never get alarmed over their sinful condition, never depart from their iniquity, and never embrace the cross of Christ in identification with His sufferings or bow the knee of submissive obedience to His Lordship –things which are essential characteristics of true faith and necessary evidence of the reality of the Gospel in one’s life. This true, offensive Gospel, far from being accepted by the world, was a scandal to the world, and the world hated it! It ended up getting our Lord nailed to a tree. This true Gospel, according to early historical records, ended up getting the Apostle Peter crucified as well (that is, crucified upside down). It ended up getting all the Apostles martyred, except for John, who was banished as a condemned criminal to the Isle of Patmos. 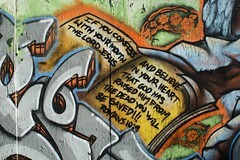 This true Gospel will never be accepted by the world and its ungodly system or the prince of darkness who oversees it. It will always be a scandal, an offense, a sword between those who follow it and those who refuse to (see Mat. 10:34-36). Where is this Gospel today? Surely, wherever it is, persecution tends to follow it in some form or another, but thank God; genuine salvation does too! And so does revival! Please share this message with others!